The indiscriminate poaching of wildlife species is a crime around the world. Too often the name of “hunter” is attached to the abhorrent acts of poaching. As ardenthunter-conservationists this could not be further from the truth. In fact, as a group,hunters help pave the way for responsible wildlife management by paying their way and adhering to game regulations. Whether it is the quail hunter in Texas or the Cape buffalo hunter in Africa, hunters shoulder a significant amount of the funding needed to help manage healthy wildlife populations. Each year, SCI Foundation provides additional funding and expertise to help combat corruption and poaching–especially in Africa. Yet, much remains to be done to make a larger positive impact and see the trend reversed. Collaboration and sharing resources is critical to improve the plight of many species. 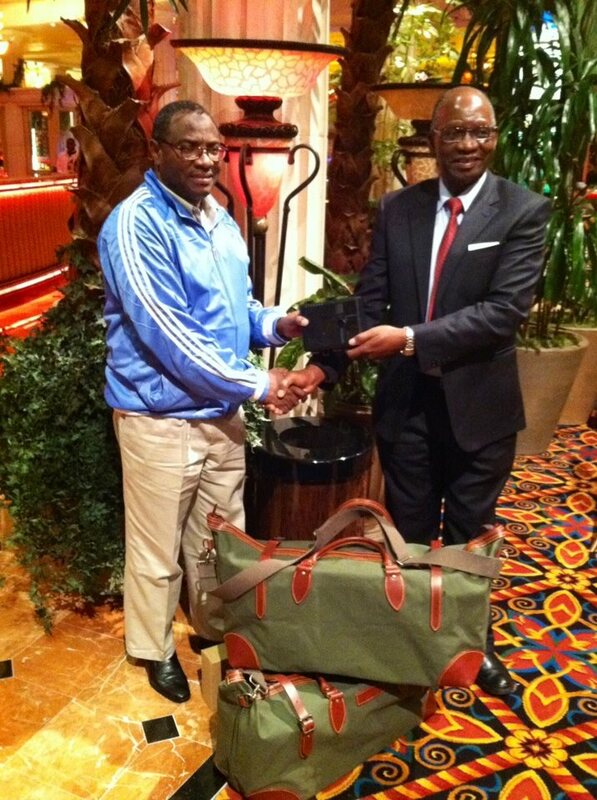 Safari Club International Foundation (SCI Foundation) has…. Awarded multiple grants to land conservancies in Southern Africa that serve as important reserves for rhinoceros including Savé Valley (Lowveld) Conservancy and Bubye Valley Conservancy. Provided over $80,000 over the last several years to fund rangers, aircraft, trail cameras, telemetry equipment and other tools to combat the increase in poaching in Tanzania, Zimbabwe and South Africa. Allocated $25,000 to Chiredzi River Conservancy to promote its anti-poaching activities through the deployment of Game Scouts (anti-poaching rangers) that patrol the conservancy. Empowered the Friedkin Conservation Fund (Tanzania) to conduct surveillance flights with microlight aircraft ($25,000). The microlight covers more than 9 million acres of protected areas. Partnered with The WILD Foundation since 2011 to fight rhino poaching in South Africa through the Rhino Informant Incentive Fund (RIIF). $5,000 was designated as the start-up capital for the program. Worked with StealthCam and Boyt Harness Company to deliver 30 trail cameras to the Tanzanian Government for protected area surveillance. SCI Foundation is currently investigating new partnerships to bring advanced drone technology to track illegal activity in Africa and employ scent-detection dogs in the apprehension of illegal wildlife traffickers smuggling items like ivory and horn. Furthermore, collaboration is needed to break down the demand for illicit wildlife parts through public education and outreach. Please consider making a contribution to SCI Foundation so that anti-poaching initiatives can be bolstered to combat poachers throughout the continent. Help our organization leverage your dollars for larger grants to combat poaching in Africa. 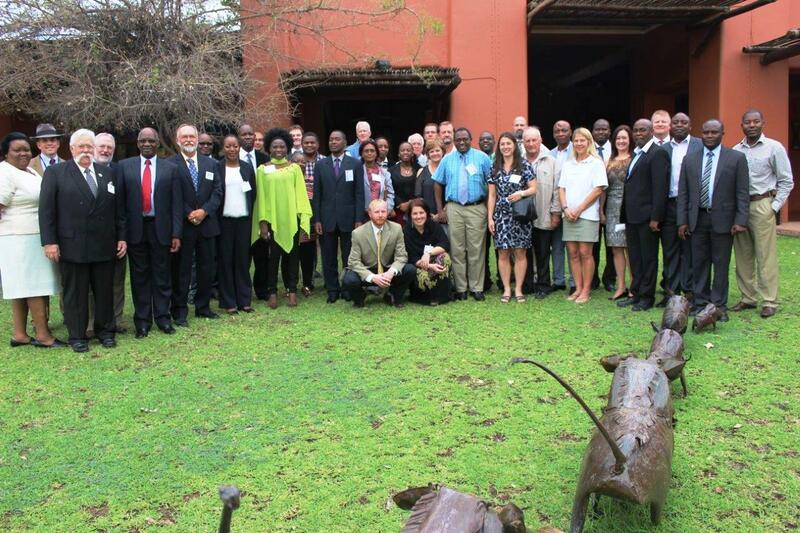 Washington, DC – Safari Club International (SCI) and Safari Club International Foundation (SCI Foundation) and will represent hunter-conservationists during the 16th Conference of the Parties (CoP) of the Convention on International Trade in Endangered Species (CITES). The 16th CoP takes place in Bangkok, Thailand March 3-14, and may be the most influential event that will shape international wildlife conservation objectives for the next 3 years. CITES is a treaty among 177 countries that ensures cross-border trade in animals and plants does not harm individual species. SCI Foundation and SCI attend as international non-governmental organizations, and work with delegates from various countries to ensure that major trade decisions are based on sound science rather than politics and emotion. “SCI Foundation, in cooperation with Safari Club International, developed a comprehensive voting guide on all the policy recommendations being considered at the 16th CoP. We hope that every international conservationist will seek the counsel of the accomplished advisors who developed our materials for this incredibly important conference on wildlife conservation,” concluded Hosmer. Find SCI Foundations positions on issues at www.safariclubfoundation.org/CITES. Tucson, Ariz. – Safari Club International Foundation (SCI Foundation) will recognize the amazing achievements of Doug Bermel and Brad Garfield on Jan. 25, 2013 in Reno, Nev. These inspirational sportsmen will be honored as the 2013 SCI Foundation Pathfinders in recognition of their outstanding achievements. SCI Foundation coordinates world-class hunting safaris for the annual recipients of this recognition. The Pathfinder is presented to individuals who are faced with overcoming a physical challenge or disability that is otherwise capable of interfering with a routine way through life; he or she must discover previously unexplored regions of self-esteem, self-worth, courage, persistence, and determination. The recipient is someone who has a “never quit” attitude and who is recognized as an ambassador for other “pathfinders” seeking leadership when faced with similar challenges. “Please join us in Reno, Nevada on January 25th where we will recognize both Doug and Brad,” concluded Hosmer. Doug and Brad will be recognized at SCI’s 41st Annual Hunters’ Convention in Reno, Nevada on January 25, 2013. If you are interested in attending the convention, please visit ww.showsci.org. At the age of 27, Doug Bermel was diagnosed with Adrenoleukodystrophy [ALD] which is a progressive heredity disease with symptoms similar to Multiple Sclerosis. As the disease progressed, Doug switched to using a crossbow and adapted his hunting style to accommodate the disability and weather conditions. Doug became the 2001 NRA Beeman Shooting Champion after a 14-city tour in the US and Canada, acquiring 10 gold medals and qualifying for the World Championship in Korea. He is the former Disabled Shooting Coordinator for the Archery Trade Association and a retired United States Paralympics Shooting Team Member, competing in Germany, France, Holland, Italy and Canada. Doug represented the US in two World Championships: Korea 2002 and Switzerland 2006. Doug’s current activities include writing a monthly column for Bowhunter.net, serving as President of TIP (Turn in Poachers), a board member with Minnesota Bowhunters Incorporated, a Disabled Coordinator with the International Bowfishing Association, and serving as the President and co-founder of Minnesota Broken Wing since 1992. Doug remains active with Physically Challenged Bowhunter of America and has been a Minnesota Firearm Safety Instructor for 31 years. He is also the Past President of Capable Partners (CP), an organization that matches a disabled person with an abled body person in specialized hunting and fishing events. In May of 2005, Brad Garfield was medevac’d from Iraq when an IED he was attempting to neutralize detonated. After a very long recovery period, and numerous surgeries, Brad was able to complete the remainder of his 30 year career in a non-deployable assignment at Quantico, Virginia. He subsequently retired as only the fourth Chief Warrant Officer 5 (CWO5) in the history of the Marine Corps’ Explosive Ordnance Disposal (EOD) field. Brad received the Marine Corps Engineer Association’s EOD Officer of the Year award 5 times. His personal decorations include the Legion of Merit, the Purple Heart, The Navy Marine Corps Commendation medal (with “V” and two gold stars), the Army Commendation medal, the Navy Marine Corps Achievement medal (with gold star), the Army Achievement medal, The Combat Action ribbon (with two gold stars), the Marine Corps Expeditionary medal, the Humanitarian Service medal (with bronze star), the Outstanding Volunteer Service medal (with bronze star), and the Marine Security Guard ribbon. Brad earned a Master’s degree in Human Resources Management from Webster University. He is involved with many wounded warrior support organizations including Patriots and Heroes Outdoors, Idaho ‘N’ Heroes Outdoors, Hunts for Healing, Safari Club International (Former Co-Chair of the Humanitarian Services Committee, Chesapeake Chapter), Paralyzed Veterans of America, LEEK Hunting and Mountain Preserve, and Chappy’s Outdoors (VP of Operations), to name a few. Brad loves to hunt and has traveled the world harvesting animals with all manner of tackle including, rifle, shotgun, muzzleloader, flintlock, compound bow and crossbow. His passion is hunting and giving back to those who have given so much in the service of their country. Safari Club International Foundation (SCIF) is a 501(c)(3) nonprofit charitable organization that funds and manages worldwide programs dedicated to wildlife conservation, outdoor education, and humanitarian services including such programs as Sportsmen Against Hunger, Sensory Safari, Safari Care, Disabled Hunter, the American Wilderness Leadership School, Becoming an Outdoors Woman & More and Youth Education Seminars (YES) Outdoors. Since 2000, SCIF has provided over $50 million to these causes around the world. 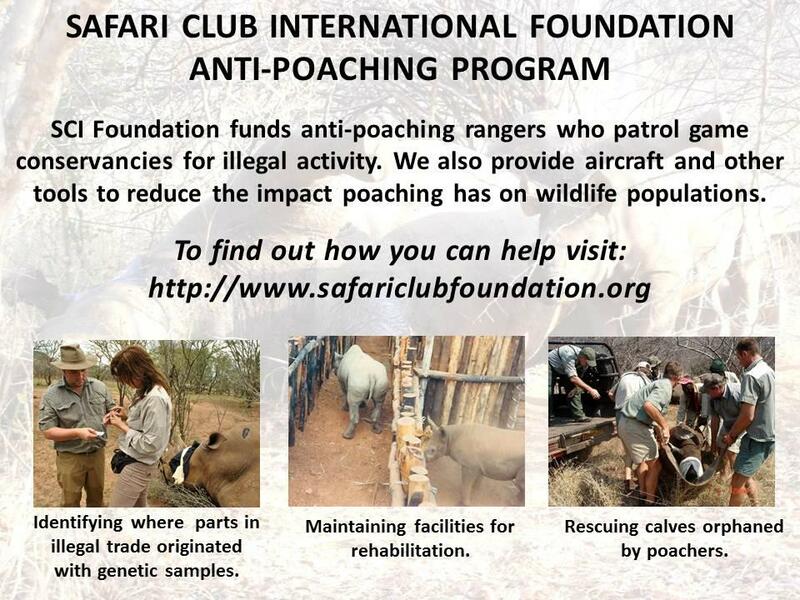 Call 877-877-3265 or visitwww.safariclubfoundation.org for more information.